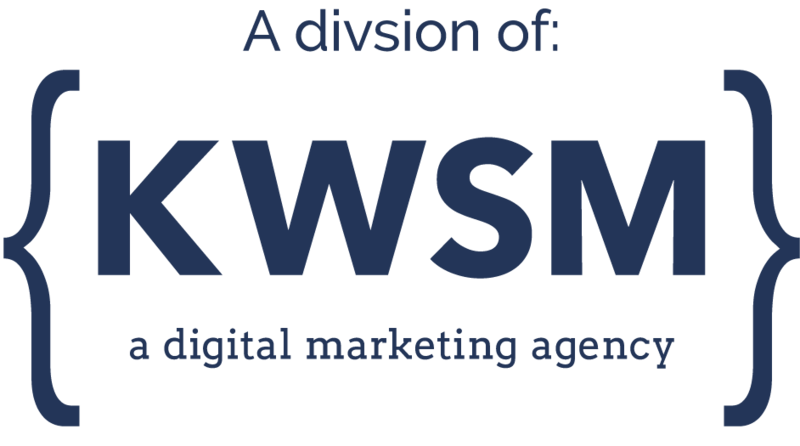 KWSM is a digital marketing agency made up of journalists. We are professional storytellers, and we specialize in helping our clients engage their target audience online. Our services include social media management, content creation, digital advertising, public relations, website design and video. We have offices in Orange County, CA, Atlanta, GA, and Las Vegas, NV. We are looking for experienced and energetic marketers with a journalistic knack for storytelling, a designer’s eye and aesthetic for content, and a strategic and analytical mind for developing campaigns that drive client ROI. We love what we do. Our passion is creating strategic content and advertising programs that utilize a variety of digital resources, including social media, blogging, digital advertising, email campaigns, programmatic plays, press releases, influencer outreach, and videography. We hire driven team members with diverse backgrounds who have acheived success in most or all of these mediums. They bring their A-game to brainstorm events, strategy sessions, and client meetings. Our creative and web development teams jockey for a seat at the client’s table because we are all driven to succeed for them. Can you get an arm and a leg in a chair? In this role, ownership is everything. Do you possess the vision to develop an integrated marketing campaign that positions brands in front of their desired audience of consumers, potential strategic partners, and the media? Can you execute that plan flawlessly? Are you skilled at writing short and long form copy? The ability to pivot is critical; a successful team member must be able to change the voice of their copy on the fly. They should have no problem writing about complex topics for a law firm or CPA one minute and then writing fun and engaging copy for a beauty or fitness brand the next. We want people who not only talk the talk, but also walk the walk. Do you roll up your sleeves to dig into Google Analytics so that you’re able to explain what’s happened as a result of your campaign and why? Can you articulate it so that the client sees your progress and buys into your plan? We work with both B2B and B2C brands. Awareness isn’t enough. Our clients expect measured results. As a member of our team, you will build relationships with our clients, develop and implement strategic marketing campaigns, create content that helps shape their story and distribute that content over a variety of marketing platforms. You will need to know how to listen to a company’s needs and create a comprehensive digital marketing plan. Also, you should know that at KWSM we are a family. We approach our jobs with a sense of competitiveness – always striving to get better results and make bigger things happen. But we are never competitive with each other. We support and help each other, and understand that we can only produce our best work as a team. We’re so serious about this that we personality test every candidate to make sure we are assembling a team that will work well together, have the best chance of succeeding in the job, and be happy in the environment we provide. … is a strong writer, delivering clean and compelling copy that tells the brand story and inspires the audience to take action. … has demonstrated success with social media advertising through Facebook, Twitter, LinkedIn, YouTube, Pinterest, Google Ads, Programmatic. … is an excellent communicator, able to convey strategy and results to clients and understand their needs through frequent and meaningful dialogue. … builds trusted and long-lasting relationships on a foundation of integrity and ownership (doing what they say they will do). … uses their voice to drive progress in internal and external meetings; our team thrives on collaboration, and every person must be a valued participant. … contributes to our team culture and cares about our team; we work very closely, and how we communicate and understand each other is key to our performance. This is a full-time, salaried position. The right person for this job will be…. If managing digital marketing campaigns for clients was as easy as posting on Facebook, anyone could do it. But what we do is a lot more than posting. If you have big ideas, are willing to take risks, and want a job where you can be innovative and try new things, KWSM could be a very good fit. We tell stories for a living. That involves engaging and communicating with an audience online, but it also requires the ability to communicate well with our clients, and each other. We’re a small company, and you will have a lot of opportunity to add your feedback. We need someone who wants to be heard. We have a very collaborative approach, and want to work with people who want to be part of a team. You must be willing to motivate yourself, meet deadlines without fail, work productively with those around you, and communicate with colleagues and managers clearly. Yes, we work online. But in order to accurately tell our clients' stories, we have to get to know them offline, too. A large part of your job will be building relationships with clients and acting as their advocate. We work hard for our clients, but we like to socialize with them, too. We want to work with people who are passionate. If you have the ability to get excited about something and throw yourself into it, you will fit in well here. If you believe you would make an excellent addition to our team, please submit the following materials through this platform, or e-mail Jeff (at) KWSMdigital.com. Screenshots of your social media campaigns (4-5 samples) including a brief description of what you intended to accomplish for each screenshot. An original blog (300-500 words) about how small and mid-sized businesses can benefit from utilizing digital marketing, advertising or social media. Submissions that do not contain all requested materials will not be reviewed.